By Jason Price 14 Comments - The content of this website often contains affiliate links and I may be compensated if you buy through those links (at no cost to you!). Learn more about how we make money. Last edited February 10, 2014 . I recently received an email from my company’s 401k plan manager asking me the question: “have you got enough cushion?” In other words, they were asking, based on the amount of money I’m contributing to retirement today, if it will be enough? Further into the note, their suggestion was to save as much as I can now in order to have padding to pursue my future goals. So, what is the best way to determine how much you’re going to need to save for retirement? Let me start by saying I’m not a financial professional, or a retirement planner. 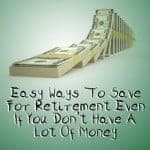 I don’t claim to know all the aspects of retirement planning, but I think this post will give you some important points to consider for your situation. With retirement savings not being my primary goal right now, I did a little bit of research to find out what types of resources are available to tell me how much I need to save when the time is right. Almost instantly, I found an interesting post from J.D. Roth at Get Rich Slowly exploring this topic further. J.D. identifies a common dilemma in retirement planning. The problem is that nobody seems to agree on what assumptions to make when planning for retirement. How much should you assume for inflation? For investment returns? For rising health-care costs? How long should you expect to live? Is there really not a good way to determine how much you need to save for retirement and are we better off just maxing out savings as much as we can today? Perhaps focusing on the amount to contribute is the wrong approach. Retirement – A New Idea? If you can live a lifestyle that is comfortable but not extravagant, you will effectively decrease the amount you need to save for retirement. Consider what you’ll be doing and the associated lifestyle. Build your savings goals, investment strategy based on that chosen lifestyle. Of course, there is still the dilemma of estimating all of those other items such as inflation, returns, etc., but I suppose that’s probably best to leave that up to investment calculators and financial advisors of your choice. So, if my focus is on what I’ll be doing and how I’ll be spending (and not blindly saving hoping for the best lifestyle possible), I think I can make some fairly accurate assumptions. The whole concept of retirement is fairly recent, an experiment that began with the creation of Social Security in 1935, observes Ken Dychtwald, a gerontologist and authority on aging in the U.S.
As long as one is physically and mentally capable there is no scriptural basis for a person to retire and become unproductive. Personally, I don’t consider my future retirement years as workless. What about you? Rather, I hope to position myself to achieve true financial freedom. To me, this means I’ll be able to give more of my time and resources to help others. And you probably would guess that’s helping people in the area of personal finance. If retirement is like landing a plane, what is the best retirement plan? Don’t land the plane (just let it run out of gas). Considering my plane isn’t going to land (I know what I want to do in retirement) and I can probably do some estimating around this lifestyle, I can then get back to the original question of how much I need to save. So, how should you go about answering that question and identifying the savings amount? 1. Regardless of where you are with emergency savings and debt reduction you should save up to the minimum amount required to receive a company match on 401k contributions. 2. Next, there are a number of retirement calculators on the internet provided by trusted websites. I think this is a good place to start. I think this one from MSN Money is a pretty good retirement calculator. 2a. Visit with a financial advisor to discuss your lifestyle at retirement and seek some planning advice. 3. And finally, when it’s the right point on my financial journey (debt paid off and emergency savings funded); I’ll increase my contributions as much as possible to provide for my future lifestyle. In closing, I’ve decided not to join the panic about retirement savings. While I think everyone should save and invest for the future, I don’t think it should replace important goals such as getting out of debt and building emergency savings. The only time there is an exception to this rule is when a company provides a match to your contributions. Invest to get the match if you can still make forward progress on debt or emergency savings goals. When I reach the point of extending my contributions, I’ll consider my lifestyle and save accordingly. But beyond all of the calculating and planning, I’ll trust God to provide for my needs and put me where he wants to me to serve Him. What’s your take? How do you plan to make sure you’re saving enough for retirement? Even if you can't save as much as you want for retirement because of debt or other hindrances, saving something is better than saving nothing. 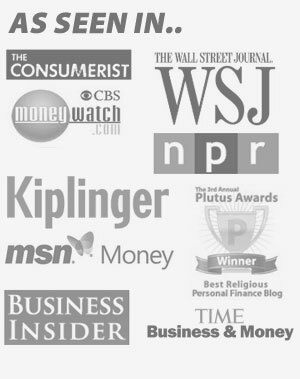 “I’ve decided not to join the panic about retirement savings.”–a big, fat AMEN on this point! With all of the emphasis on earmarked retirement savings, it’s probably more important that we properly manage our finances during our working lives than anything else. A controlled financial situation throughout our lives will likely produce a solid position in retirement. Living beneath our means, saving money, staying out of debt, and doing work we enjoy and can do until we’re called Home are each at least as important as having a big 401k! Kevin@OutOfYourRut´s last post ..New Car or Used Car – Which is the Better Deal? I am one of those guys who is going to fly the plane as long as I can before landing it. I am already retired from one career, but plan to continue working as long as possible in a new career I am more passionate about. Retirement, to me, is about more choices, not lack of activity. J.D. gives some great advice about living a lifestyle that is comfortable but not extravagant. I would add that having no debt upon retirement takes a big stress out of how big that retirement nest egg needs to be. Great post Jason. It’s awesome you’re putting debt-freedom ahead of retirement savings! The power of FOCUS is so important when you’re getting out of debt and I have no doubt you’ll reach your goals. As for retirement savings I teach (and live!) saving 15% of your pre-tax income for retirement as part of the financial freedom steps. It wasn’t as tough as I thought because I didn’t start doing that until I was debt free with no payments. It’s very difficult because it can be hard to determine what costs will be like and what your situation, mainly health will be like down the road. Just save what you consider a good amount but also make sure you enjoy you life now. There are too many variables to calculate an exact number. However, it’s still good to estimate what you should have. The most important thing is to decide when you want to “retire” and start saving a % of your income each year to get there. David, I guess that’s what I’m planning on avoiding right now. I’m not going to extend my retirement contributions pass my company match at this point. Kevin, yes, sir! Definitely not going panic and make sure my ducks are in a row before entering that stage of my financial journey! Joe, well said. I like that. Retirement is about “more choices and not lack of activity” and completely agree that it’s essential to enter that stage without debt (including a mortgage)!!! Also, you’re approach seems to be very much in-line with my desired future career in coaching for a living. Maybe we can chat sometime. Deacon, I suppose that % makes sense when you’ve surpassed establishing an emergency plan and put debt behind you. I look forward to being able to contribute that amount one day towards the continued operations of flying my plan. Craig, good tips and I agree. I’m going to do what I can in terms of retirement savings and I suppose estimate as best as possible, but I agree that it’s definitely not going to be exact. RJ, ah that is a good point you bring up. Another consideration – “when” you want to retire. I agree with focusing on your expenses in retirement rather than the number to build up to, although I think that once you figure out your expenses and income it’s fairly easy to calculate retirement savings with some convservative variables. At any rate, if a couple is debt-free, no major expenses except for taxes and insurance then their retirement “need” is going to be a lot smaller than someone who is paying off two homes, a boat and a convertible. I like how Joe is retired but pursuing his passion! Great job!! This is the ongoing question, is it not? For me, it starts with a question. Not what’s your gross income, but what income do you need at retirement? What goes away? If I’m full up on 401(k) and pretax IRAs, I still have federal tax. But no FICA/Med (7.5% or so), no saving for retirement (25% or so), no mortgage, no college saving, etc. So, ironically, those who save the most will need the least in replacement income, if only because they are living on so little. I was aiming for early retirement. 10 years ago, 8%/yr seemed a reasonable assumption. And I should have been able to retire at 50 on about 60% of preretirement income. At this point, I am looking at 55 or so (I am 47 now) and as I told my wife who is older than I am, when we retire assuming a 4% withdrawal rate, we have two positives, not having counted social security in the plan, it will be a windfall, twice as each of us reaches the age to collect, and my part time income, as I can’t imagine ‘not’ doing something, I’ll likely have a second career that I’ll take on for fun, and some money will follow. To answer the how much question. 25X your gross retirement need. Adjust for SS and/or other income. I am no expert either, but using one of Dave Ramsey’s retirement planning forms, for a 42 year old to retire in 20 years on $30,000/year, they would need to save around $650 a month for that 20 years at 12% (via a good Mutual fund). Minus 4% inflation of course. That is a lot of money to save for a long period of time. Most people don’t realize it but you need more money than you think, since we are living longer these days and the cost of living is getting higher and higher. I would caution against assuming work for retirement. If it’s possible, swell. But don’t count on it! If you had asked me at age 19 what I’d be doing at age 31, I’d have guessed completely wrong. Why? Because I hadn’t yet had the neurological illness that left me with debilitating fatigue. I am really only able to work a few hours a week, and then only from home. And all this happened when health is more or less guaranteed! No matter how much you take care of your body, there is every possibility that something will arise medically that will keep you from working. The older you get the more likely that is. Two years ago my MIL was diagnosed with atrial fibrillation aka congestive heart failure. She can’t work. She wasn’t healthy before, but atrial fibrillation doesn’t discriminate with fitness. So I think, while you should, of course, not obsess, you should REALLY consider the likelihood that you won’t be able to do what you do while in retirement. Even something as simple as blogging — you could have a stroke and lose a lot of fine motor skill. I’m not trying to be a downer here, but take it from someone who learned the hard way: Health is never guaranteed. Planning as though it were is the best way to get a very unpleasant surprise at some point in the future. FB – The 12% assumed return is one of the quotes people use to bash Mr Ramsey. It’s a very dangerous assumption as the long term market return has never been that high. When I began working, I assumed 8% and instead of changing my saving rate as the 80’s and 90’s were above average, I just changed my assumed retirement date. If one projects 12%, and it never happens, how do they compensate? How would the 42 year old in 2000 now change his plans at 52 having seen about zero growth? I like Charlie Farrell’s 12X your annual average salary saved up as capital before you retire. Personally not a big fan of the idea since if I’m doing what I love, why would I want to retire? Previous Post: Would You Pass the ‘Rich Young Ruler’ Test?